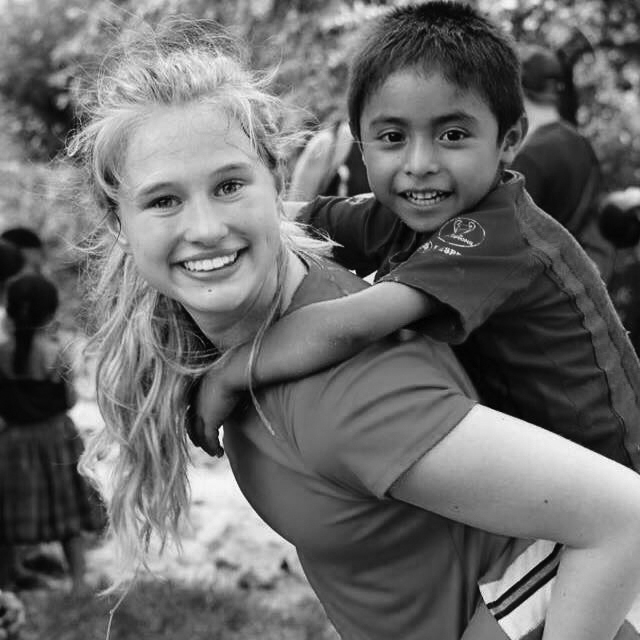 Senior Desiree Wright was inspired to do mission work by a trip she took to Guatemala in 2015. Just a week before graduation, Eagle Times reporter Taylor Bogdahn sat down with Class of 2016 valedictorian, Desiree Wright, and talked to her about what high school was like for her, and what her upcoming plans are once she graduates in June. Desiree has made the unique decision to take a gap year this upcoming fall. Desiree has been a three-sport athlete and number one in her class academically since freshman year. Some of her awards over the last four years include Scholar Athlete, 9, 10, and 11; the Princeton Book Award, the Dartmouth Book Award, the Southern Maine Athletic Association’s All Academic Soccer and Swim, senior year, the Norway Savings Bank A+ Student Athlete of the Month for October, a regional winner on the Maine 4-H Dairy Quizbowl team that competed in Lousiville, and various community and 4-H awards. Desiree admitted that it wasn’t always easy managing sports, school, and a social life, but she still came out on top. What made you decide to take a gap year? “I decided to take a gap year after a short-term missions trip last year. It sounds insane but doing work for others is what is in my heart and I feel called to do. There is such a strong stigma that high school students go straight to college after they graduate, but I believe that honestly, right now is the perfect time to do an experience similar to this. Gap years have been constantly frowned upon. However, they can be some of the most beneficial experiences. What was it like juggling school, sports, and friends? Best part of high school? Favorite memory? “For me the best part of high school was probably playing sports. I made so many great life long friends that really became my family. It was just such a great community of people, whether on the field or not. Going to different sporting events like our football win in playoffs at Deering where the lights went off, or the girls basketball team having a crazy unexpected win against Thornton Academy moving them to playoffs in the Civic Center. Those were some of the craziest best times I have had in high school. The 5 a.m. assembly was pretty great too! But even better was being able to play myself. After four hard years and dedication, our soccer team was finally able to make playoffs, something never expected from Bonny Eagle girls soccer after the previous three years only having three wins. We even had a winning record! What will you miss the most about Bonny Eagle?